To encourage motorsport in a safe controlled environment, to improve defensive driving skills of individuals so as to make our roads a better place and importantly, to be socially responsible. 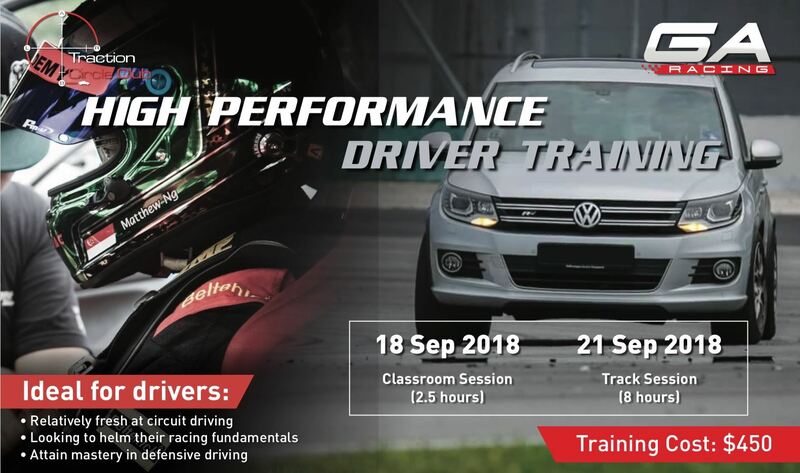 With that, we have dedicated 21st September trackday to help us reinforce our core values. We will be running 3 core programs. 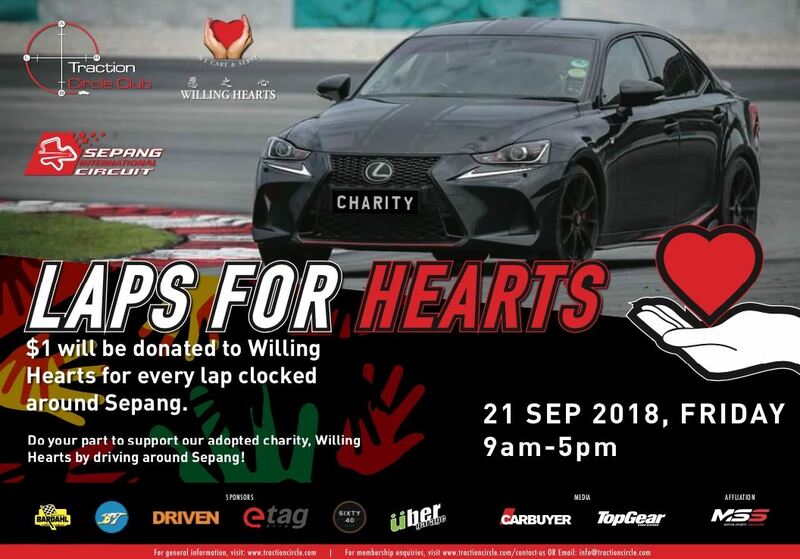 The club will donate $1 for every lap that members clocked around Sepang. Beneficiaries includes the elderly, disabled, low income families, single parent children or otherwise poverty stricken families. The course is Ideal for drivers to attain mastery in defensive driving and/or looking to helm their racing/driving fundamentals. It will include a classroom theory lesson on the 18th Sept ,7pm Suntec Convention Center and a practical class on 21st Sept. Course fees are highly subsidised by TCC and will be limited to first 20 participants. Prizes awarded to participants who clocked the maximum number of laps between 11am to 3pm. This is to augment Laps for Hearts program to encourage and reward participants to clocked as many laps as possible. Let us do what we can to make the world a better place.